Musical works featuring the theme-and-variation form first appeared in the 1500s, although there were earlier isolated examples as far back as the 14th century. One Spanish composer using this form was the vihuelist Luis de Narváez (fl. 1526–49), his "diferencias" as he called them, were some of the earliest examples of this form to be published. A favorite method for creating variations in the Renaissance was called "divisions" : whereby a work begins with a simple rythm with relatively long note values, subsequently in each variation these duration values are "divided" into smaller and smaller values. This principal of developing simple material into more and more elaborate material provides an overall shape to a composition, which is preferable to a set of variations arbitrarily placed together in a sequence. Renaissance vocal music featured two principal variation techniques : contrapuntal variations following the stanzas (verses) of strophic chants; and sets of variations over a single, often quite lengthy, foundation voice in a mass or motet. Musical works featuring the theme-and-variation form first appeared in the 1500s, although there were earlier isolated examples as far back as the 14th century. One Spanish composer using this form was the vihuelist Luis de Narváez (fl. 1526–49), his "diferencias" as he called them, were some of the earliest examples of this form to be published. A favorite method for creating variations in the Renaissance was called "divisions" : whereby a work begins with a simple rythm with relatively long note values, subsequently in each variation these duration values are "divided" into smaller and smaller values. This principal of developing simple material into more and more elaborate material provides an overall shape to a composition, which is preferable to a set of variations arbitrarily placed together in a sequence. increasing use of modulation whereby different keys or modes were explored, taking the listener away from the tonic, or home key, but always ultimately returning to that home key at the end of the work. Generally the penultimate key was dominant key (a fifth above the tonic) which has the strongest, most compulsive relatonship to the tonic. These auxillary keys were arranged in a hierarchy according to the strength of their relation to one another. As the composition moves from the home key, through a series of these auxillary keys, and finally ends on the home key, there is a resulting feeling of forward thrust to the direction of the piece for the listener, and a sense of a journey which starts and ends at the same familiar place, or key. 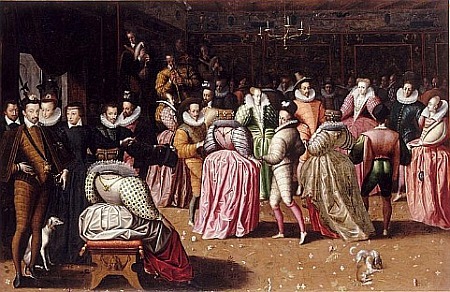 Variations on a theme is additionally a skill that some performers are able to improvise, this was particularly prevalent in previous eras such as the Baroque. For example the "da capo aria" form featured in operas and oratorios, includes a section in which the singer is expected to improvise such that the music, which is a repeated section, does not sound dull. 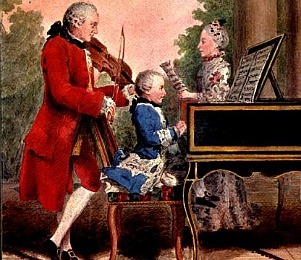 Composers during the clasical era such as Beethoven and Mozart were also accomplished improvisers and made powerful impressions on their audiences when they improvised. Two well known guitar examples of this form are Fernando Sor's >Introduction and Variations on a Theme by Mozart, Op. 9 , this theme derived from Mozart's opera The Magic Flute, and Mauro Giuliani's Variations of a theme by Handel Op.107, this theme from the final movement of one of Handel's harpsichord suites. An interesting example written for the piano by Mozart is a set of variations on the children's nursery rhyme Twinkle, twinkle little star.